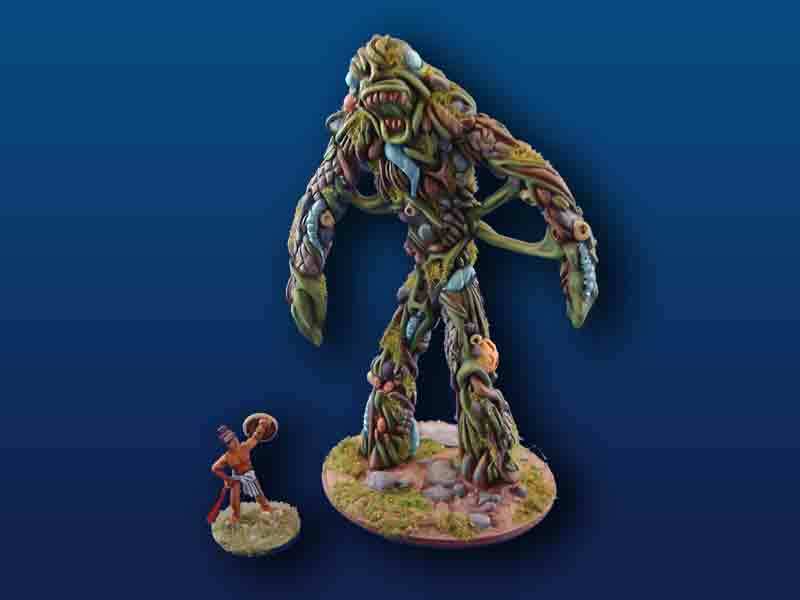 Shown next to 28mm figure for scale, Amuck is 5 1/2 inches (14 CM) tall. Amuck is a horrifying, giant bog monster who dwells beneath the surface of mud-filled swamps. When his prey ventures into the mud, Amuck the Bog Monster ensnares the unsuspecting victim in his sinewy vines and squeezes its life away. Bog monsters are normally found in marshy terrains and bogs. They submerge and ambush their target with a grappling attack. Bog Monsters are members of the Everfolk and are Neutral Evil in alignment. 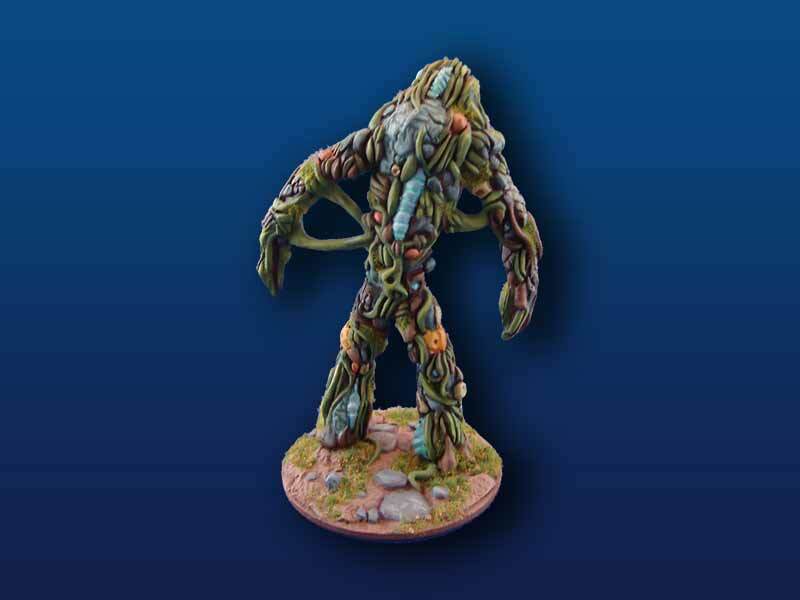 Amuck the Bog Monster comes with a highly detailed 3 inch diameter base. 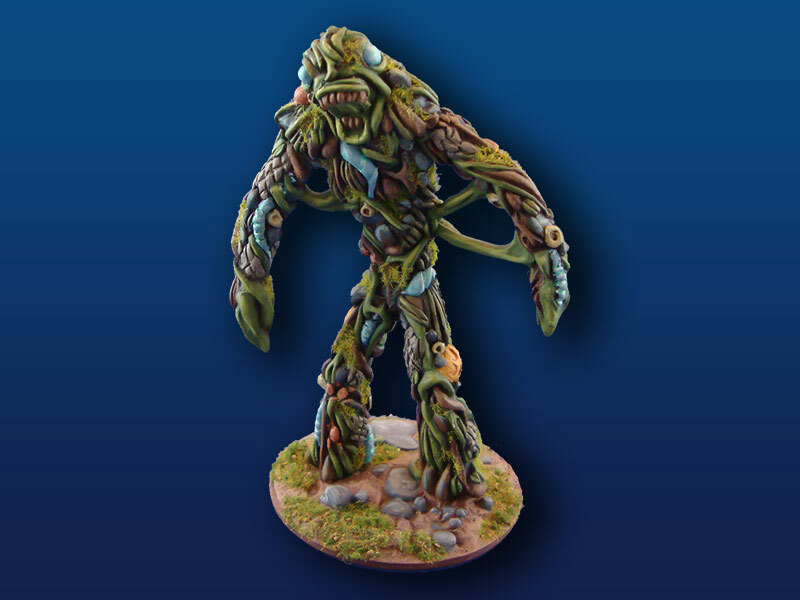 Both pieces were sculpted by Cline A. Siegenthaler for use in Kaiju Kaos: The Miniatures Game.